The beauty marketplace is packed full of products promising to nurture and protect your hair. Likewise, the number of dyes and color treatments on sale is mind boggling. With such a wide range of products to choose from, it can be hard to know where to start. Thankfully, the Goldwell range offers clients everything they could wish for when it comes to both color and nurture. The Goldwell Colorance range is the optimum way to refresh your hair while achieving fantastic color. In the hands of an expert colorist, Goldwell’s Colorance products can truly make your hair come to life. With summer in full flow, the effects of the sun, seawater and pool water are taking their toll on hair styles across the country. Many will be subject to color fade, split ends and frizz. 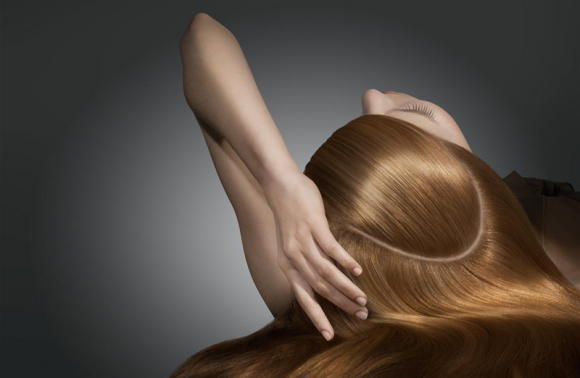 Thankfully, the Colorance range means that men and women no longer have to put up with tired tresses. Instead, they can achieve deep, bold color along with hair that shines with health from root to tip. Available only in salons, such as the wonderful Sachi Studio's in Scottsdale, AZ, Colorance products provide demi-permanent color designed to deliver unbeatable condition. Treatment is quick and easy, and leaves hair strong and beautiful. The Colorance range incorporates products to meet every client’s needs. The latest scientific haircare techniques have been built into the range, including the patented IntraLipid Technology, which improves hair structure by replacing the damaged lipids inside the individual hairs. The process is renowned for improving hair structure by up to 35%, which is particularly beneficial for clients whose hair has been stressed by the summer months, or for older clients looking to revitalize and refresh their hair and achieve a younger look. From gray coverage to highlights to full head coloring, Colorance offers professional colorists the freedom and flexibility to make every client’s coloring wishes come true. This is due to the range’s provision of more than 80 intermixable shades, which ensure that every tone is achievable. Expert colorists in the know have been raving about Goldwell’s products for some time and now their secret is being shared with clients across the US. The combination of intensive color and superb shine is one that is gathering converts daily, as other coloring products simply can’t keep up. Even clients whose hair has been colored with other products originally are now turning to Colorance in order to revitalize their locks. From blondes to those looking for jet black tresses, Colorance has something for everyone. Colorance Express Toning is one of the stars of the range, taking only five minutes to provide incredible shine and condition on lightened hair. In the middle of the range, warm reds, electric oranges and deep, rich browns provide the perfect tones for fall. With hair that has been colored and nurtured as beautifully as the Goldwell Colorance range allows, color enhancing shampoos, conditioners and styling products are recommended in order that the hair’s fabulous condition and color can be maintained for as long as possible. The Oribe range, which is available from all leading salons, provides some excellent options for nurturing color-treated hair. As well as color enhancing products for daily use, Oribe offers intensive conditioning masques for deep nourishment that will leave hair full of body and lusciously soft. Clients using Goldwell Colorance products to refresh their hair, and Oribe products to maintain its health, simply cannot go wrong. Everyone dreams of achieving film star-esque tresses and now the products that can make those dreams come true are finally here. Whether it’s half a head of highlights, a bold new look or some subtle gray coverage, the beauty of the Goldwell and Oribe products are that they refresh and revitalize the hair at the same time as coloring it. Clients achieve fabulous color and can step out of the salon with the confidence that is born of knowing they look their absolute best.